Emails are at the heart of our modern lifestyle, as a main form of communication over the Internet. Almost every application out there uses emails for marketing, information exchange and so much more. 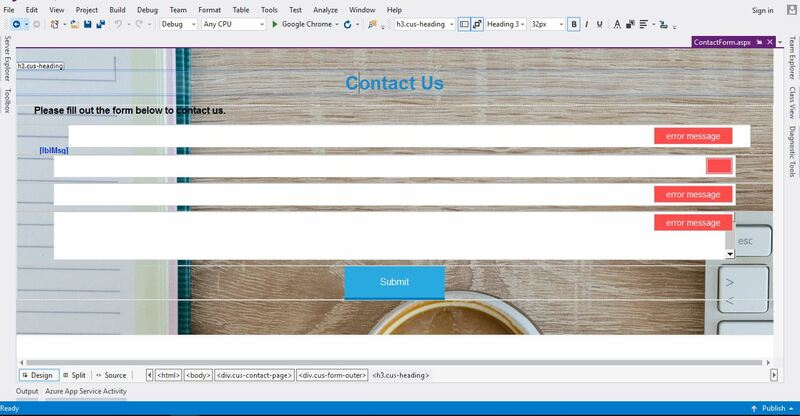 In this exercise, we will go through the steps, to make “Contact US” form. In order to help you get started quickly, we have prepared a “getting started” package, that you may freely download. Let’s open Visual Studio, and create a new project. Select an ASP.NET web application and change the project name to “democontactus” then click “OK”. 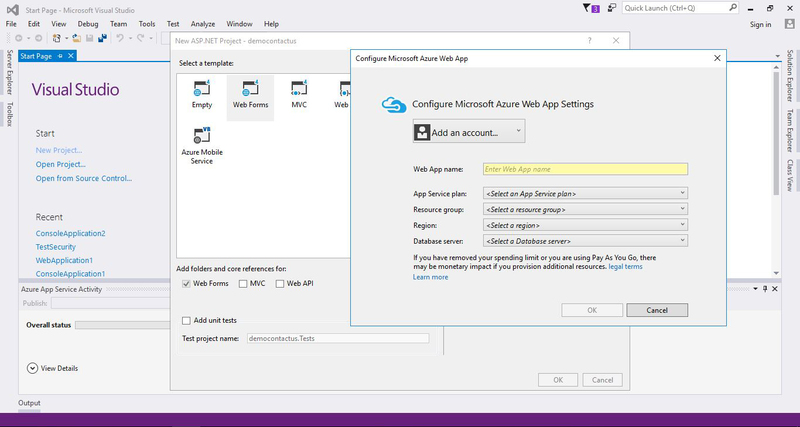 If you are prompted to setup an Azure account, you may click the “Cancel” button, as this subject is not part of the current tutorial. The project creation process takes some time (from few seconds to few minutes depending on your system performance), so just be patient as it progresses. In order to send emails, you need to configure an SMTP server. SMTP stands for Simple Mail Transfer Protocol. It’s part of multiple emailing services and handles emails sending. In our application, we will need to update the “web.config”, by adding the SMTP credentials we will be using to send emails from our application. fromEmail => The email that will display as the sender address. The first 4 tags are standard HTML tags (div and h3). There are multiple HTTP methods, which are part of the HTTP protocol, like: POST, GET, PUT, DELETE (also used in REST APIs). Each method has it’s own specification and use case. In this example we have used the POST method, which transfers the data inside the HTTP request header. Unlike the GET method, which sends the data in the URL in the form of a concatenated string: var1=value1&var2=value2… etc. The other tags are simple input tags (TextBox, Labels and Buttons), which are used to display the form layout and data. 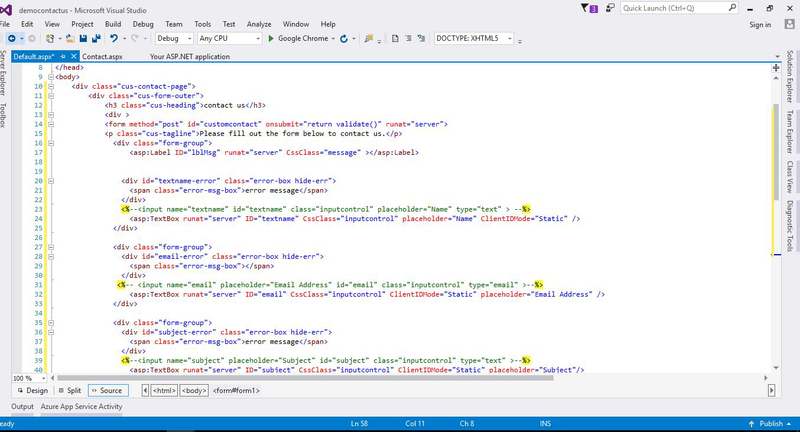 You can switch to this view by clicking on the “Design” tab in Visual Studio. Now it’s time to make this form actually work, and it should do so by responding to a user’s click on the “Submit” button. In order to add event handlers, we can either do so directly in the code, which is something you would want to do when you become proficient and experienced with the technology, but for now, we will use the simple way. Make sure you are on the Design tab, and then double click on the “Submit” button. This is one of the situations when Visual Studio comes in handy: It has created a click “Event handler” automatically, which is simply a function with a lot of parameters. This method will be used to send an email using your SMTP credentials, from the configuration parameters. lblMsg.Text= "Email has been sucessfully sent." Finally, you may run the app to test the code we have just written. 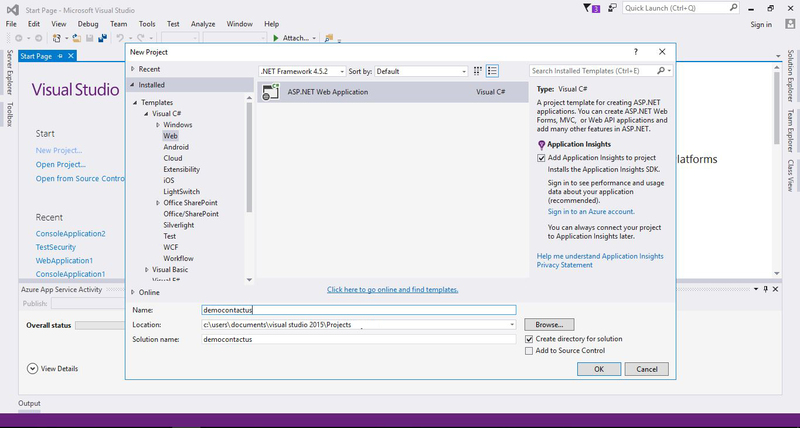 Run the application from Visual Studio, which will launch the browser. Fill in the required fields: Name, Email, Subject and Message, and click on the “Submit” button. If all goes well, an email will be sent right away.